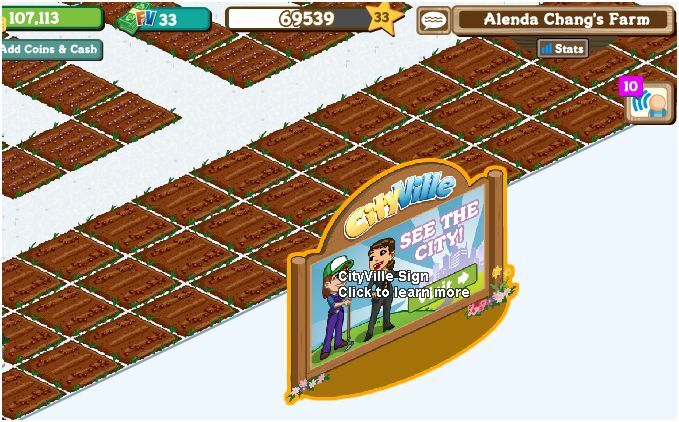 Zynga just released CityVille, and seems to be using the game to call retired farmers away from their derelict virtual farms. This giant billboard appeared next to my fields yesterday, but I have yet to pack it up for the big city. It is significant that the common image of the country is now an image of the past and the common image of the city is an image of the future. The pull of the idea of the country is towards old ways, human ways, natural ways. The pull of the idea of the city is towards progress, modernization, development. In what is then a tension, a present experienced as tension, we use the contrast of country and city to ratify an unresolved division and conflict of impulses, which it might be better to face on its own terms.